Close on heels of the Government of India’s controversial decision to raise the foreign direct investment (FDI) limit in defence sector to 49 per cent, the powerful Reliance Industries Ltd’s New Delhi-based think-tank has asked the Modi establishment to make “a critical doctrinal shift in the country’s approach to national security”: transform the Indian defence sector by “encouraging the large-scale entry of the private sector into the defence research and development and industrial sectors.” And for this, it indicates, there is an urgent need to increase the country’s defence budget, which is allegedly very low. Pointing out that right now the “private sector involvement has been restricted to small-value defence contracts and supply of low-tech equipment”, the think-tank suggests that the Modi government should not restrict to 49 per cent FDI in defence. “The government should encourage greater FDI in the defence sector and ensure that India’s defence production becomes commercially viable, with the country becoming a net exporter and entering global supply chains for defence weapons and systems”, it insists. 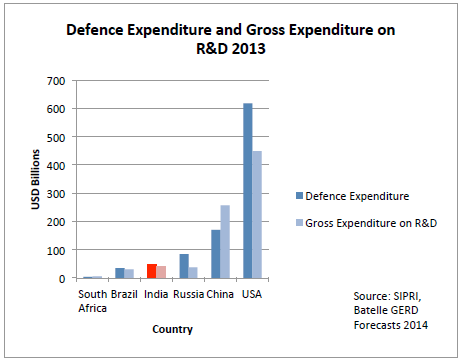 And for this, it favours India is in a unique position to cement its place as a global player in the defence sector. 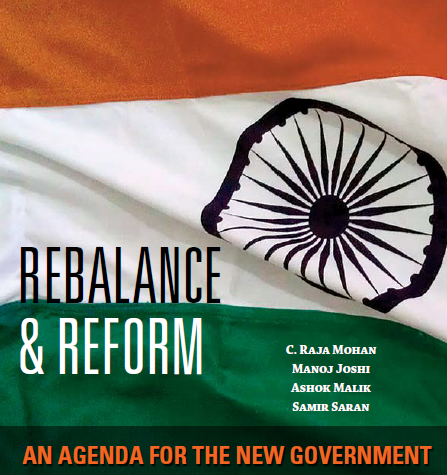 Pointing out that “India must have a strong and decisive leadership at the helm of the Ministry of Defence”, the think-tank wants the government to revive what Jawaharlal Nehru had abolished long time back in order to keep supremacy of democratic establishment over a centralized defence establishment. It says, “The government should appoint a Chief of Defence Staff (CDS) to assume charge of the Integrated Defence Staff headquarters. The CDS would head the tri-service institutions such as the Strategic Forces Command and the Andaman & Nicobar Command. He would be in charge of coordination and prioritisation involved in writing the armed forces Long Term Integrated Perspective Plan (LTIPP) and the five year plans”. It further says, “He would lead the shift of the country’s armed forces to the concept of theatre commands and take charge of any out-of-area contingencies. The CDS would be the permanent Chairman of the Chiefs of Staff Committee and hence be the principal military adviser to the government”. Declaring that “the Indian security apparatus is not adequately equipped to deal with these challenges effectively”, the report states, “The process of modernising and equipping of the armed forces and police has not progressed at the desired level.” It believes, “Ineffective management has led to the Air Force numbers declining significantly, the Navy suffering from a shortage of ships and submarines and obsolete weaponry for the Army. “ It would also strengthen India’s “position among the global powers”.